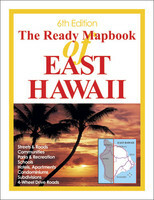 Booklines Hawaii, a division of The Islander Group, is a leading distributor of books, calendars, and DVDs in Hawaii. For over 35 years it has established a recognition among customers for its commitment to quality products and service. The Islander Group began its corporate life in1975 as Pacific Trade Group. Given the need to expand its products and distribution capacities, the company added investors in 1992 and changed it's name to Booklines Hawaii. In 2001, as the companies product lines continued to grow in the gift and general merchandise categories, the company changed it's name to The Islander Group, to better reflect its wide product range. 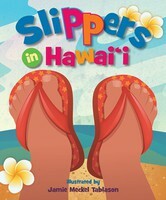 Customer relationships are an integral part of building Booklines Hawaii’s business. We aim to provide our customers the most efficient service, making use of leading edge technology to ensure timely product availability and accessibility. We strive to know and understand our customers fully to bridge the gap between what they need and what we can offer. Ultimately, the consumer whom we serve and their level of satisfaction with our products become our final judge and jury. We are committed to deliver high quality products and service. We recognize that our people, Booklines Hawaii employee's, are one of our most important assets and we are committed to promote their safety and welfare. Their wealth of experience, ideas, dedication and strong work ethic lay the foundation for the Company’s continued success. It is our goal as much as it is theirs, to pursue and reach their full potential through training,and skills-enhancement programs. We challenge each individual by providing the opportunity to contribute to the Company’s endeavors. We recognize our role in promoting the protection of the environment and taking part in various community-building projects that help enhance and uplift the quality of life of the world around us. If you have any questions or comments, please contact us toll free at 1-877-828-4852 ext # 200. Our office is open Monday to Friday from 8:00 am to 4:30 pm HST.